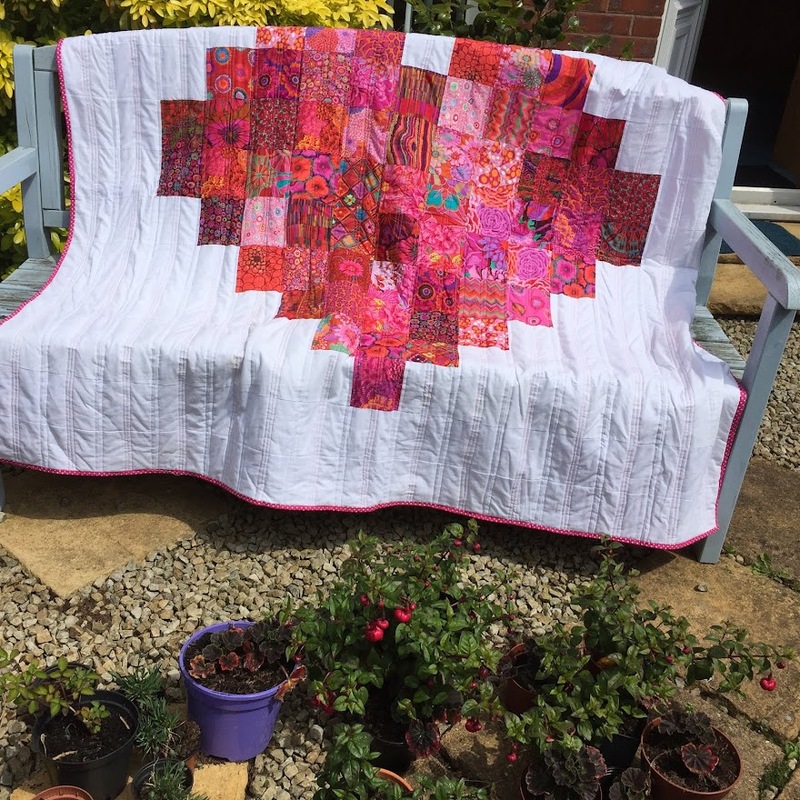 Hi there, I'm Helen and I am delighted to be taking part in the New Quilters Blog Hop week 2 and to be part of Quantam Quilters. Gosh .... that sounds like I'm taking part in an awards ceremony and I'm about to thank my entire family and then burst into tears. Actually, that might not be too far from the truth.... I'm not going to burst into tears but I am grateful for this chance and would like to thank Yvonne for all her hard work. There are 70 new bloggers, or folks who have been blogging for less than 2 years, and we are divided into 4 hives with 4 hive mamas. Over the course of the next few weeks, we are all taking it in turns to introduce ourselves and get to know each other. Well, I am Helen, and I live in the United Kingdom. Belfast in N Ireland to be precise. I'm what I consider to be middle aged, well, into my mid 50s, I have been married for what seems to be a lifetime and I have 3 adult children, twin sons and then a daughter. One son is in the USA, one son in England, and the daughter at home. Lots of fun places to go on holidays then. I love to sew, knit, read, bake, work in the garden, scrapbook, genealogy (look up my dead people) and enjoy my travels. I'm a sociable sort of body, the sort of person who had loads of pen friends and was always bringing someone home for tea when she was young. So, blogging is my idea of fun. I get to make things, show them to others, and get to see what others have been up to as well. And hopefully make a few new "friends" in the process. For me it is very much a fun thing. Unlike others, I'm not here to make a career or run a business. That's great for others, for me it is all about enjoyment. Just as well as I have a tendency to start things and not finish them. 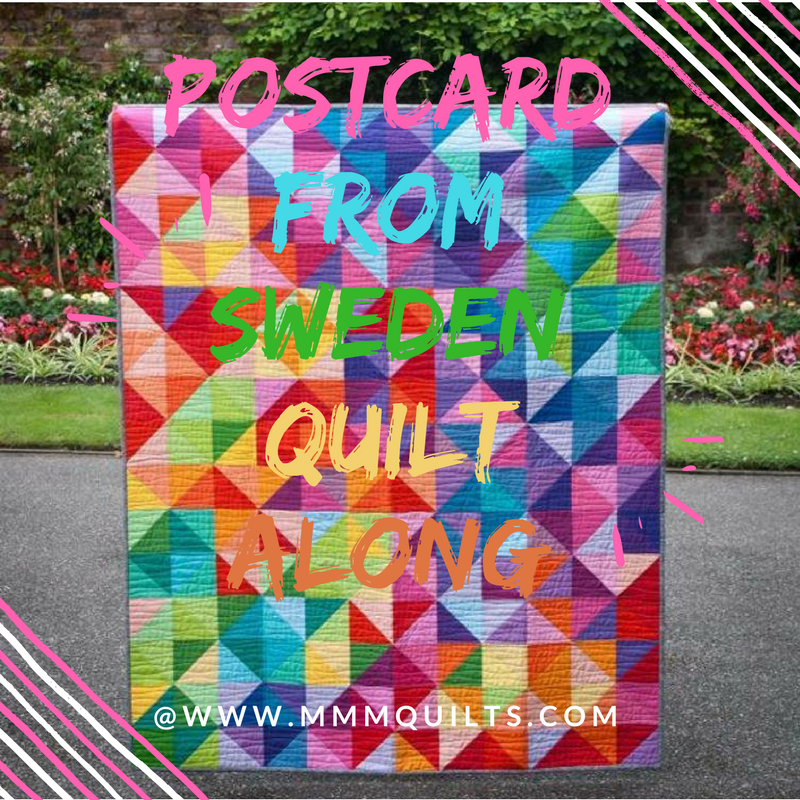 In fact, my first blog name, was Finish One Quilt Before I Start Another, but that mostly brought up Finnish websites, so time for a name change. Midget Gem Quilts was chosen because of the sweets, my boyfriend, now husband used to tell me I was his little midget gem. I think it was a compliment, that I was small and sweet. (pass the yuck bucket, I know, but we were young and in love). When I told my husband I was to post some photos of finished quilts, he quipped that I would have to finish some. Har de har de har! So, here are some finished quilts. Rather ironically the giant plus quilt in blue and grey ended up looking very like the Swedish flag! is it a giant plus or is it the swedish flag? Yvonne suggested we give a blogging tip. My blogging tip is to always reply to comments, people have been kind enough to leave a comment, and to do this as soon as possible, whilst it is fresh. My quilting tip, oh, from experience, measure twice but once, but it's never the end of the world. Our little about ourselves, well I guess I've already covered that, but my secret vice is that sometimes I like to get back into bed with Sherlock Holmes!! Actually a great blogging tip is take part in this blog hop. My techy skills are pretty patchy but already I have learned so much, I now have an archive, buttons, widgets and gadgets. I even have pages, but have to work out how to attach the posts to pages! Still a work in process, and how to attach the instagram button. You can find me on instagram at @helenmidgetgemquilts. That's another wee job just sorted!! Thank you for visiting me, thank you for coming to my very own awards ceremony! Check out the great blogs who are hosting the blog hop this week and of course check out our hosts, Yvonne, Stephanie, Terri Ann and Cheryl, and of course check out the great giveaways and competitions on our host sites. 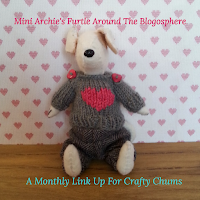 Blog Hop Week 2 fellow "hoppers"
Please do check them out, and thanks for checking me out too! Lovely post Helen! Writing blog posts reminds me of writing to pen friends too - I guess the digital age has ended the need for 'pen friends'? I've also found having a blog has been a great motivator in getting projects past the finishing post (so to speak!). Your post has encouraged me to tackle the techy side of blogging too! Congrats on finishing the hear quilt - looks fantastic. Had to laugh at the midget gem sweet reference -I remember always eating the sugary bit first and then the biscuit! What's your husband talking about you have lots of lovely work to show!! Love that heart quilt....must check out the other blogs now! Lovely post with lovely humour! I love your heart quilt. I approve totally of your Stand Up For The Ulster Men quilt! I have great memories of their win in 1998-9! I'm glad my husband isn't the only stand up comedian when it come to my quilting :) Can't wait to read about your heart quilt later this week. 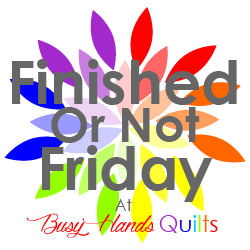 I'm glad I'm not the only one who has unfinished quilts - I have stacks of them! I, too, have learned how to add all the bells and whistles to my sidebar thanks to the New Quilt Bloggers group. It's been a really fun experience getting to know other bloggers. So nice to meet you, you have some lovely quilts! I am learning so much on the blog hop, my computer skills are lacking. Great getting to know you through this blog hop. Love your mini quilt! Wrong flag. It is a Finish one. How appropriate. Hello, very nice to meet you! I enjoyed reading your post and learning a tad about you. I have several unfinished quilt projects, love starting new projects (there are so many wonderful photos and tutorials ) on blogs that it is impossible not to find one I have to try. LOL. Have a great day and thanks for posting! Love your heart quilt. Love the color, too. I am so happy I was able to attend your awards ceremony! Such a nice post and I feel like I got to learn a lot of fun things about you! Especially love the bit about changing from one blog name to the other. Both are great names with cute story behind them! Glad to have met yr through Quantum Quilters! lovely to read about you. Enjoy everything!! I love the use of solids in your first two quilts. 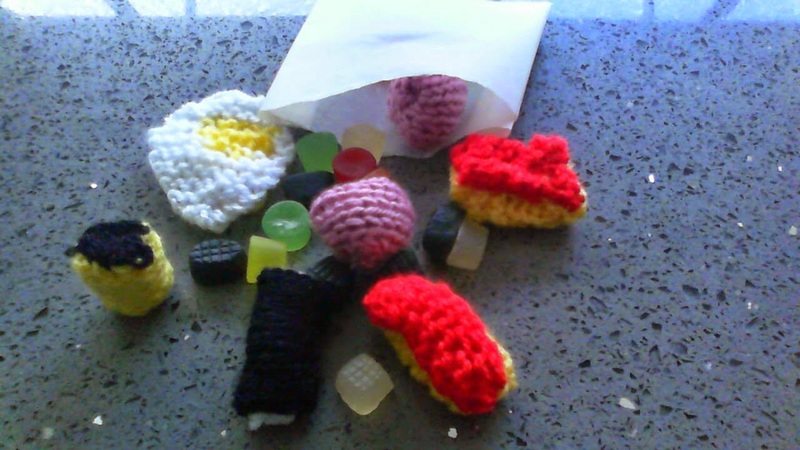 A really lovely and funny introduction post, thanks Helen! Beautiful work Helen! It was fun learning about you and your journey! :) Is that an IKEA fabric on the back of the STUFUM quilt? Love it! Hi Helen! Always great to meet a blogger who's not in the U.S. I now there are a few of you on the blog hop, but before I joined this group, I knew very few people who lived elsewhere. I do get your Swedish flag quilt, but I immediately thought Tardis when I saw it. I love your Schnitzel and Boo swap quilt and especially enjoyed reading the history of it. Sarah at http://www.goer.org/sarah/ also made one, and now I can appreciate her quilt even more. I appreciate your blogging tip about responding whilst it is fresh. I love the word "whilst". It sounds so classy! Great post! Great to get to meet you! I love the fussy cut mini quilt, adorable! Bravo, Helen. The pearls are the classic accessory for an awards ceremony. Maybe we're related. Somewhere in my family's past we were Scot Irish (is that a thing?) You make me laugh so I'll be following you. Thanks for sharing. How you named your blog is sweet. I think we all have WIPS laying around...not so unusual, husbands just don't get it! It was wonderful getting to know you! I adore your giant plus quilt, whatever country it is! Hi Helen: I loved this post because you sound so much like me! I think my husband is really happy that I started blogging because I'm getting more quilts finished rather than just starting more and more. I love your take on the technical progress. I have yet to make the tabs and have been wondering if I will be able to figure out how to post on them once I get them together...also not yet on instagram. I bookmarked the post on adding pages on the computer that died last week, so I'm back to square one. It's a good thing I've got a couple of weeks till my post. Yours in solidarity. Hi Helen, It sounds like you are having fun with quilting, crafts and gardening. I enjoy gardening too. What kind do you enjoy? Vegetable? Floral? Both? I love floral gardening. Your quilts are lovely. I have always been attracted to two color quilts.Your red and black is awesome! Welcome to 2015 New Quilt Bloggers! Great post, Helen. I loved reading about the meaning behind your blog name. Also, your humor shined through; you even made me chuckle. I"m looking forward to seeing more from you! Oh, love the SUFTUM quilt. You are funny, Helen, and I really enjoyed reading your blog. Hope to see more of you arou d the blog hop and in cyber space. Funny as usual. Sorry I have missed your post :) I'm all about enjoyment as well. Thank you so much for your comment, I try very hard to reply to them all.